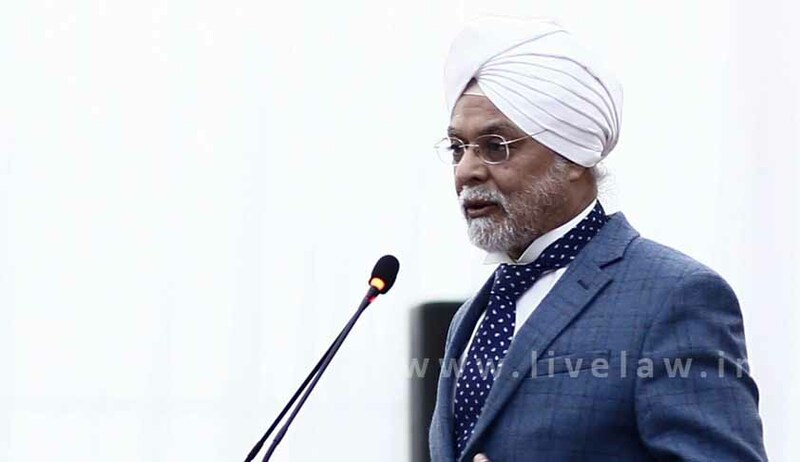 Chief Justice J S Khehar today slammed the developed nations for their unwillingness to offer financial and technological help to tackle environmental pollution despite their role in the present existential crisis posed to human race by the menace. News Agency Press Trust Of India quoted him as saying that: Significantly, not only the emission history of developed world forgotten in terms of compensation for poisoning the environment problems. But also the colonial history of the use of natural resources for the benefit of developed world leaving behind a deeply wounded socio-economic system of inequality of opportunity. It makes the task of achieving sustainable development goals through the resource demanding cleaner paths of development much more difficult. Inspite of this augmented statistical history, the developed countries even with their legal systems are unwilling to come forward to offer financial and technological help for a clean development. Coming down hard on the developed countries for their unwillingness to perform their part of obligation, the CJI said that the developed countries with a small percentage of global population control higher levels of processing technologies and thereby keep on producing more toxic waste. Developing nations with largest populations are at risk and they have to continue to accept accelerated degeneration and degradation, PTI quoted him as saying at the 'World Conference on Environment- 2017' organised by the National Green Tribunal. Justice Khehar said former US President George Bush had refused to ratify the Kyoto protocol and it remained to be seen as to whether US President Donald Trump will carry out the obligations envisaged under the Paris agreement. Just a few days ago, on March 16 Donald Trump's budget was unveiled which included cuts of 30 per cent to the state department and the environment protection agencies, he said. Dwelling further, the CJI said developed countries have created the problem of greenhouse gases historically for centuries resulting in global warming and yet they think that it is their sovereign right to continue with the emissions. They also think that it is their sovereign unwillingness to perform their obligations under the UN framework for climate change, he said. Referring to statistics to highlight the gap between developed and developing nations in consumption of electricity and their contribution in rising pollution level, Justice Khehar said Today, the per capita emission of many developed nations varies between 7-15 tonnes but the per capita emission of the countries like India is around 1.56 tonnes. Energy is the key to life and emission. Per capita electricity consumption in India is 917 kilowatt per hour, which is about one third of world's average consumption, he said. About the Supreme Court's societal and legal role in dealing with the environment-related issues, he said the apex court had held the right to clean air, water and environment as part of the right to life under the Constitution. Stressing on the need for sustainable development, he said that industrialisation needed to be promoted after taking due care of environment. PTI report said the CJI also responded to the remarks of Attorney General Mukul Rohatgi that the governments, judiciary, civil society and other stakeholders should come together and evolve a mechanism to ensure that eco-sensitive projects are cleared at the outset and they should not remain stuck for decades during the construction stage or after the completion. Rohatgi, who spoke prior to the CJI, had said that tourist industry in the country has taken a hit as we do not allow construction within the periphery of 500 metres along sea shores and countries like Maldives have constructed hotels on the beaches. The legal hurdles have to be overcome by creating a mechanism of granting prior approvals to such projects, he had said. Environment is not a matter of competition and encompasses humanity at large. When a programme is sponsored by the government it is well within the framework to draw a policy which will protect the environment. You may construct hotels, you may construct whatever you wish to, but have regulations for the environmental protection and no court can ever interfere. The possibility of interference is when the existing environment is altered or when townships are raised without dealing with sewerage and water that is when the problem arises. The problem emerges when we allow industrialisation without any quick measures. The policy of the government in India and elsewhere has to be to allow development in industry but with by taking due care of environment. That's the way forward, the CJI said.